Can be trimmed or halved to give the look of a built-in furniture component. 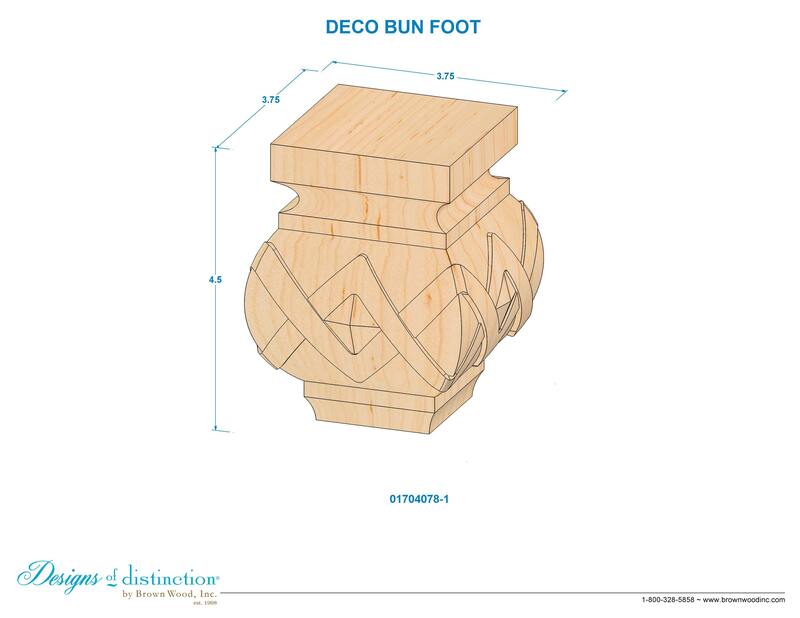 Complement your creative and fun side with the Deco Bun Foot, sure to add personality to your chosen furniture piece. Finish or update your cabinets, seating, chests, or bed frames using the unique Deco Bun Foot. Establish a theme using all wood and metal components from the Art Deco Collection. Customize the Deco Bun Foot by choosing an Add-On below. Matching components available in the Art Deco Collection.